The Holiday Art and Craft Market (opens November 25) will feature a great lineup of artists and artisans. We will be profiling them to give you a taste of the great creative gifts you will find there. Retiring after 38 years of teaching English, Patricia has decided to take up painting as an outlet for her creativity. 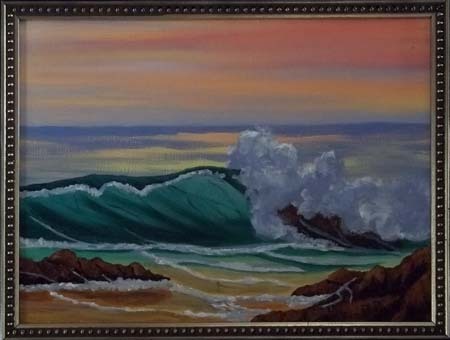 Although she has never had any formal training in painting, Patricia is primarily self-taught and with every chance that arises, she has been able to find an outlet for her artistic flair. In the past, she designed and painted sets for college and community theater productions. 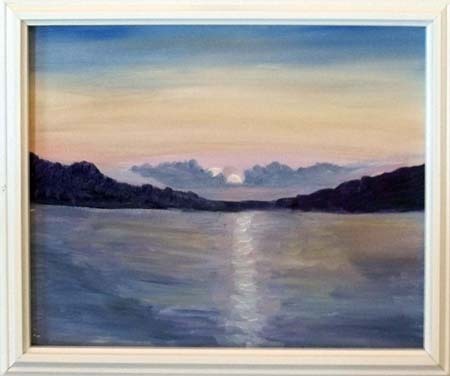 Recently she has been inspired by her acrylic instructor, Terri Nicholson of Winchester, who has helped develop her passion for painting and has instilled confidence in her painting technique. This spring she showed two paintings in her first juried show at Bluemont Vineyards. This fall two more paintings were juried into Art at the Mill in Millwood, VA, During August and September her art work was exhibited at the South Jefferson Public Library in Summit Point, WV. The Holiday Art and Craft Market will open November 25 at 115 South Queen Street in Martinsburg. For details visit http://www.berkeleyartswv.org/Holidays.php.